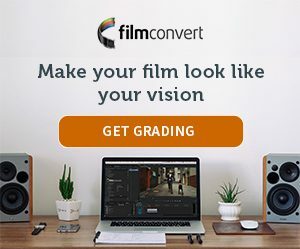 Ryan Connolly from Film Riot is a huge FilmConvert fan, and in this video for Film Riot, he discusses the cinematic look of his videos, and how he uses FilmConvert to achieve his artistic vision. Of course, film look is about more than the color grade – production design, lens choice, cinematography and camera movement all play a huge part in making your film look more cinematic. Like Ryan says, planning your production and shots to do as much in-camera as you can while you’re shooting, means you can spend your post-production “sweetening” and polishing your film, rather than trying to “fix it in post”.